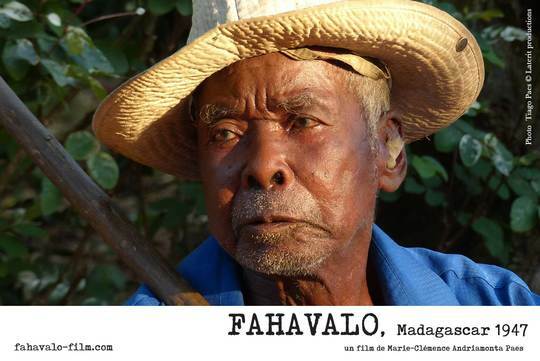 FAHAVALO, Madagascar 1947 unfolds an unknown story of resistance. Join the movement in making this film visible all around the world. We did it!! We have reached our target goal for the KISSKISSBANKBANK campaign page! FAHAVALO'S community has gone above and beyond in this journey. 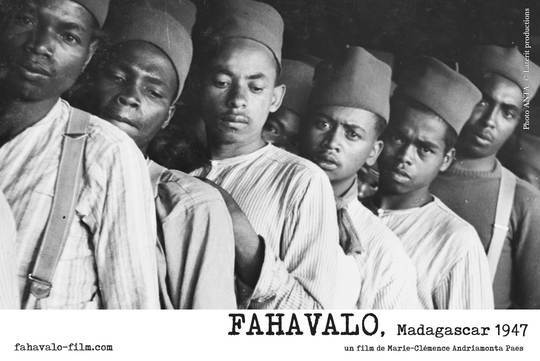 It's not only a win for the Madagascar 1947: Fahavalo film - it's a win for our community, and most importantly the movement the film stands for. What does this mean for the film now? Because we have successfully raised the first step of the money, we will now be able to get the rights for the archives which will allow us to screen the film for the next 10 years. 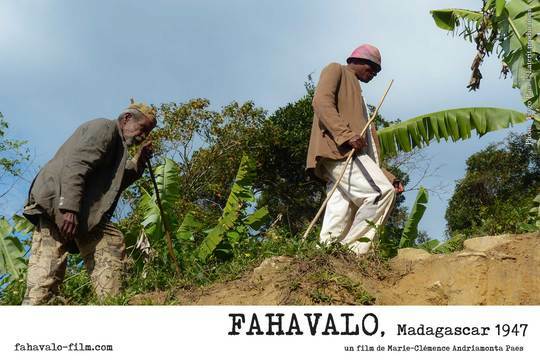 Fahavalo, Madagascar 1947, is a feature length documentary written and directed by Marie-Clémence Andriamonta-Paes. 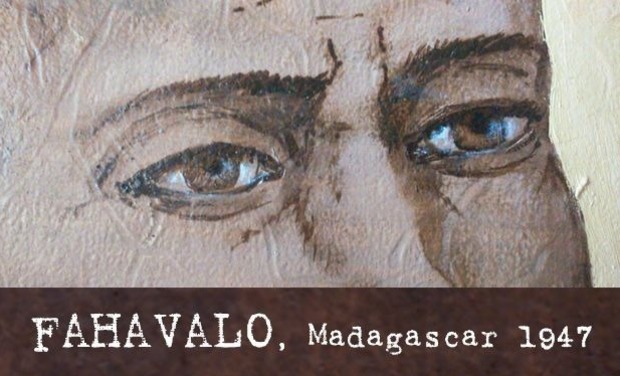 The film tells the story of the 1947 uprising in Madagascar. This journey through the past is brought to life by the witnesses today where the events took place, along the railways, through the forest, from the Highlands to the East coast of Madagascar. Interweaving archives with these rare and heartfelt testimonies, the film unfolds an unknown story of resistance. Only those who were present at the time recount the events through reports, radio recordings, and especially oral testimonies. 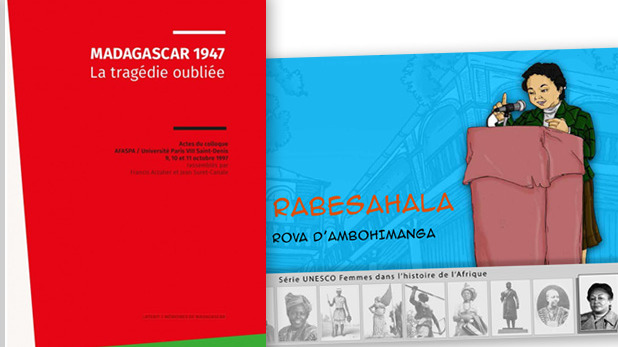 Exclusive photographies from the Madagascar National Archives and never seen before footage from the 40’s give life to these stories. 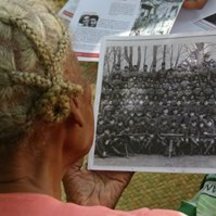 After WWII, 9800 Malagasy soldiers travelled back to their island on the ship Ile-de-France. 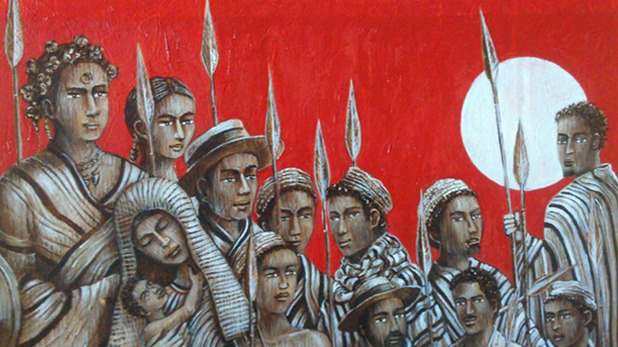 Upon reaching their homeland, they had no choice but to return to their “indigenous” status. As independence of Madagascar was absolutely not on the French agenda, they soon organized a rebellion, harshly repressed by the colonial authorities. The police reports mention that beside their spears and machetes the poorly armed insurgents used magic, during the 18 months uprising. Marie-Clémence Paes is both Malagasy and French. 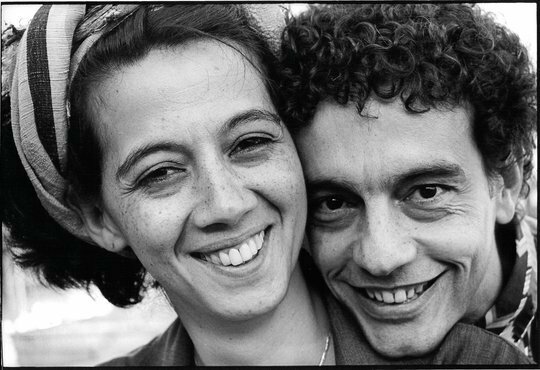 She writes and produces award winning documentaries with her husband Cesar Paes, a Brazilian DOP and director. Their films offer intimate journeys across the globe that highlight a better cross cultural understanding. 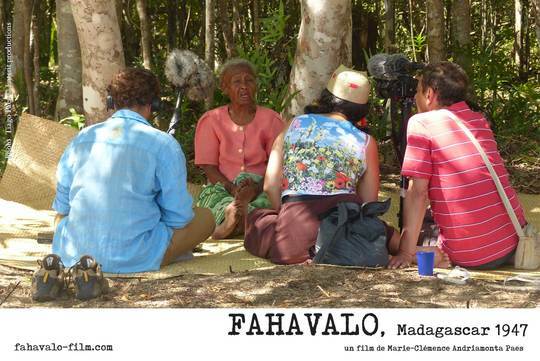 Her film FAHAVALO, Madagascar 1947 was bought with the curiosity to understand the mystery from the untold story of the 1947 Madagascar uprising rooted from her ancestors. She made the documentary to unravel the history. The oral testimonies are what will keep the story real and alive for the future generations. Kely sisa dia ho vita ity sarimihetsika « FAHAVALO, MADAGASCAR 1947 » ity. Naka sary ireo vavolombelona izahay, nandavorary ny fanatontosàna mba ho afaka havoaka sy hojerena ao Madagasikara, ao Frantsa sy any amin’ireo karazana Donia (Festivals) isanisany manerana an’izao tontolo izao izy io. Ilaina vidiana anefa ny zo ahazoana mampiasa ireo tahirin-tsarimihetsika fahiny ao anatiny. Fananan’ny British Pathé any Londres na an’ny INA na an’ny Cinémémoires ao Frantsa ireo. Tsy fanananay ireo tahiry ireo ka mila aloa vola mba ho afaka aseho mandritra ny folo taona ho avy ny sarimihetsika « FAHAVALO, MADAGASCAR 1947 ». Misaotra anao mialoha @ fanampiana . 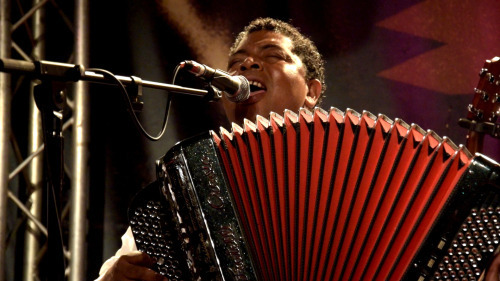 Self-taught accordionist, from Tulear, south of Madagascar. RFI Award in 1990, he accompanied many artists from all around the world, including Cesaria Evora, Lenin, Mano Solo, I Muvrini… He passed away during a concert in Corsica on July 17, 2017. He had only recorded first drafts for the music of the film. Paes brothers, were both born in Paris Area, on the left Tiago, 25 1st Assistant director and set photographer, currently studying photography at St Luc art School in Belgium. On the right side Gabriel, 28, committed in the editing of the film together with Paul Pirritano, and took in charge all the restauration and editing of 16 mm footage. 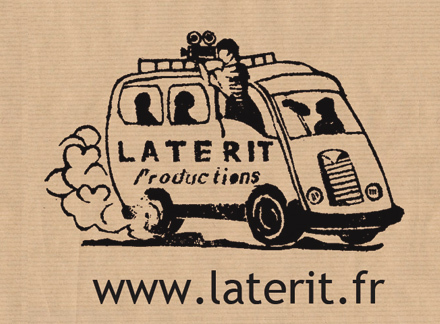 Photo taken in Laterit Productions, Paris. The production crew . She has also worked on "Ady Gasy" by Lova Nantenaina and was main editor on previous Paes films since "Awara Soup", such as "An Opera from the Indian Ocean" , "Mahaleo" co directed by Paes and Rajaonarivelo, "Saudade do Futuro". Producer and post-production manager of the film "Fahavalo". 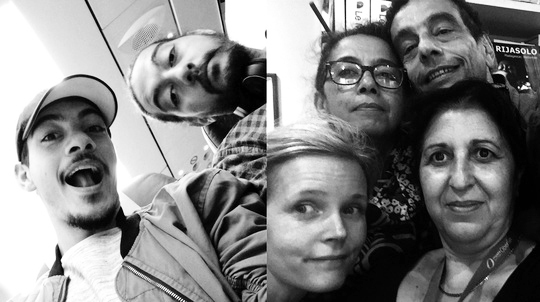 On the right, Viviane Dahan associate producer from Les Films du Bosco, and production manager of the film FAHAVALO. She has previously produced among other films. Pierre-Oscar Lévy "le premier convoi", Sylvaine Dampierre "D'un jardin à l'autre", Marcel Hanoun "Jeanne Aujourd'hui". Paul Pirritano is 30 years old. He is one of the editors of FAHAVALO. 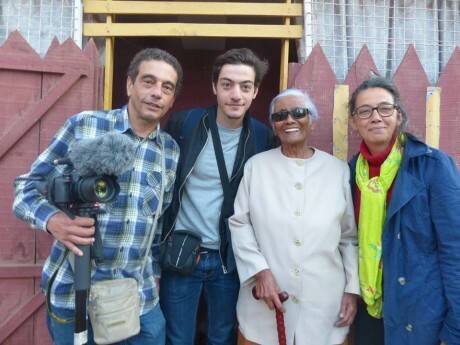 Pirritano already has a great experience in editing documentary shot in foreign language. 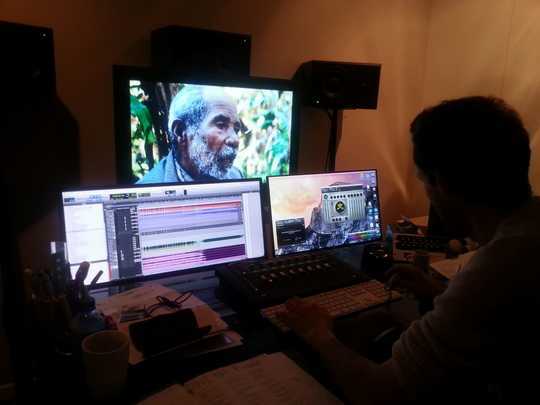 He worked with Karim Dridi in Arabic ("Quatuor Galillée"), in Russian with Anne Laure Bonnel 's "Donbass" , his insight into the editing process of FAHAVALO was most valuable precisely thanks to his distance from the topic and the Malagasy culture. 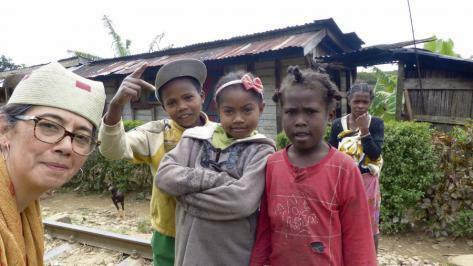 Their films such as Angano…Angano…Tales from Madagascar, Songs and Tears of Nature, and Awara Soup have won top awards at Cinema du Réel, and been screened by dozens of broadcasters. My mother accidentally told me how she had to take her father food in prison because of the aftermath of the rebellion. I asked her why she had never shared this before. She said she did not want to talk about. I was curious after that and kept searching for something. I did not know what it was - I was searching for something that has happened but was never spoken of. I never knew my grandfather, as he died in 1948. I went into the French Archives and met many historians who work on that period. I didn’t find anything precise/specific about my grandfather except for the prison he stayed in was known to be a place where prisoners died of diseases in huge quantity. My grand father died from a disease he had caught in prison, but I only discovered that fact by accident, in 2010. That’s why I kept on working on this project all these years, to help our history come alive, to help other grandchildren to know more about an invisible time period that no one was allowed to see. Capturing the witnesses on film is a different experience then reading about it or hearing about it. You can look into their eyes that have a never ending depth. It is more than spoken words, with film you are able to capture something that is not tangible, you are able to evoke emotion. It is more than a story. It is an experience. It is about the witnesses. It is about letting them speak and having us listen. We can not undo the rebellion. What we can do it iskeep the stories and experiences alive. This film is about our common history. 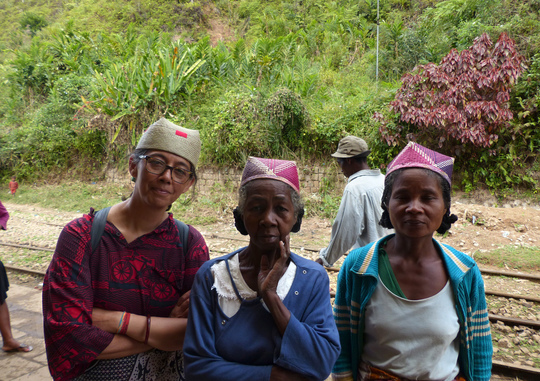 It is about the Malagasy peoples experience that has been left in the shadow. I wanted them to tell me their stories. I made this film to have the world listen to them. WE NEED YOUR HELP TO FINISH! Why Crowdfunding: We are in final stages of post production and this film is so close in taking off. We just need YOUR support. With your help we can get the film where it needs to be. We are raising funds to cover some post production expenses. Our priority for the expenses is to get clearance for the archives in order to guarantee the film to screen for the next 10 years. 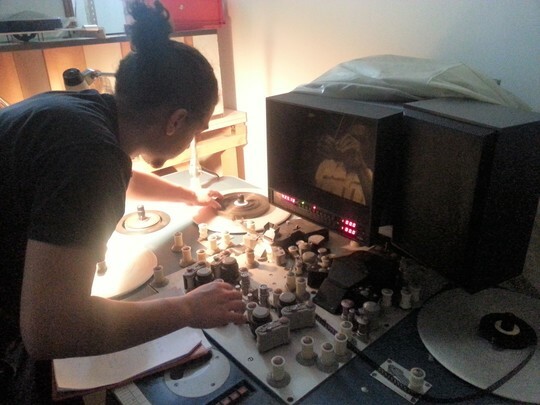 Following that, the ability of restoration for the sound and image archive. Our KissKissBankBank crowdfunding campaign was a success, with 133% of the goal achieved and 225 Kissbankers! We are still working towards raising donations for the film. The second step of the donations will allow the film to have English subtitles as well as a mastered Digital Cinema Package. Now you can donate via the CONTRIBUTE tab on the fahavalo-film.com website. The release of the film is scheduled for the fall 2018. Footage Archive Clearance: $4, 325.17 (44%): Majority of the funds will go towards paying the invoices to get clearance for the archives. With that clearance, we will be able to get the rights to screen the film for the next 10+ years. Sound Archive Clearance: $2,296.96 (23%): We also have to secure the clearance for the sound archives. That is second factor that will allow us to screen the film for the next 10+ years. Restoration of Sound: $1,902.21 (19%): This portion will go towards enhancing the sound and cleaning up archival material to improve the viewers experience. HD Scan: $1,101.15 (11%): These funds will pay for the services of transferring the footage into High Definition quality. SD Scan: $153.37 (2%): These funds will pay for the services of transferring the footage into Standard Definition quality. Already secured by the KissKissBankBank campaign. We appreciate you taking the time to learn more about the project and campaign. Please support us by sharing our campaign and following us through this journey. HALL OF FAME: You will become an official member of our Hall of Fame community where you're name will be featured on our website. DIGITAL SOUNDTRACK: get the exclusive download of the films original music composed by Régis Gizavo before the movie’s release. EXCLUSIVE DIGITAL BUNDLE: Limited edition access to the film’s photographs as well the exclusive download of the original music. 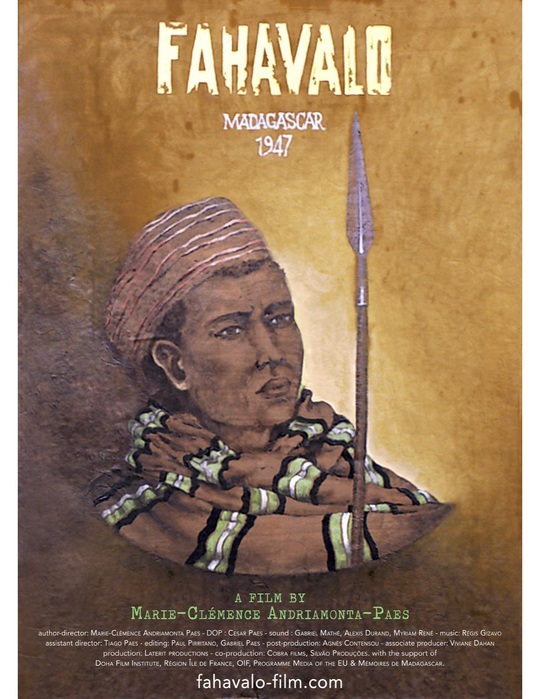 DVD copy of the film "Fahavalo, Madagascar 1947" (6 months after the French theatrical release, date of delivery by spring 2019) + poster signed by Marie-Clémence. LIMITED SERIES BUNDLE: Own the collection of 4 limited series posters of Fofa. DELUXE PACKAGE: Get a personal skype call from Director showing her gratitude towards your support as well as the VIP directors Bundle. COMPLETE COLLECTION: Director MC and Cesar Paes's Limited Series DVD Collection + HISTORY PACK + a surprise book. SCREENING PARTY: An invite to our private screening party before our premiere, where you and your guest will get to meet the director + above perks to choose between digital and physical pack. ASSOCIATE PRODUCER: You will have your name credited on the film as an associate producer! + DVD + CD + poster + postcard. VIP UNLIMITED PACKAGE: Get every single one of the perks listed above + a unique printed photography (format A3+) signed by the photographer and the filmmaker. UNIQUE POSTER & POSTCARD: Never released poster and post card personally signed by the filmmaker. DVD COLLECTION: a special limited series pack of DVD of all previous films by Marie-Clémence & Cesar Paes : "Songs for Madagascar", "An opera from the indian ocean", "Mahaleo", "Saudade do Futuro", " Awara Soup", "Songs and tears of nature", "Angano... angano... tales from Madagascar".